When I look back to the start of the season, and the kind of squad that Pep Guardiola was working with, I do not feel a great deal of surprise that Manchester City find themselves in a difficult situation outside the top four with more than half the campaign already gone. It is not that I do not rate Guardiola as a manager – I have said on these pages before that his Barcelona teams inflicted on me some of the most humbling nights of my playing career. It is that when you have played in the Premier League for a long time, you get a feeling for the stage in life that a collective of players is at – who is peaking, who is declining, who is on the up – and I got a strong sense that City’s squad was too old. The statistics tell us that their first XIs this season average 28 years and 299 days - only three clubs come out older in that category: Stoke, West Bromwich Albtion and Watford, who at 29 years and 326 days are the oldest. To put that in perspective, Tottenham Hotspur, City’s opponents on Saturday, are the youngest. Their first XIs this season average 25 years and 266 days. There are other factors too. Manchester United have improved. Jurgen Klopp has taken Liverpool up a level after his period last season familiarising himself with English football. Antonio Conte has made a huge difference at Chelsea. Arsenal will always be there challenging in the top four. 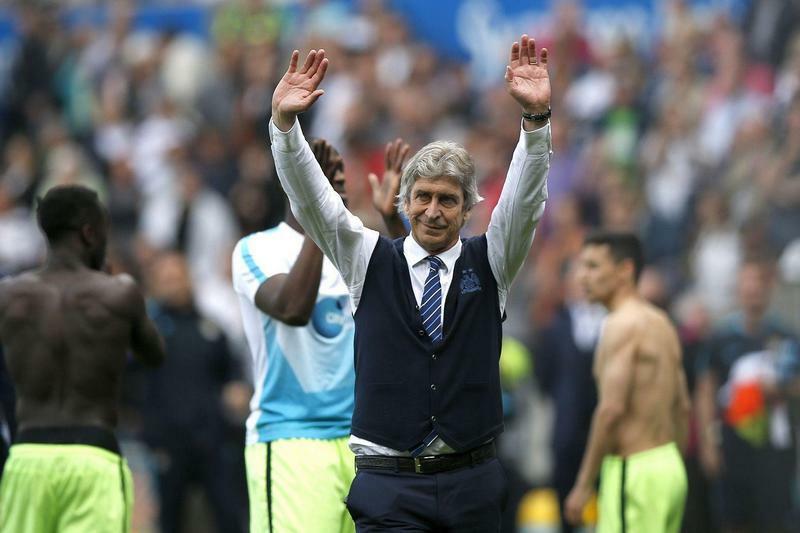 City’s struggles this year have certainly put Manuel Pellegrini’s achievements in perspective. Watching from the other side of Manchester we were often surprised at the stick that Pellegrini would get, chiefly because he was reluctant to change his formation. The consensus was that he had done quite well with the players at his disposal. City still have some fine players, and some of those fine players are their older players, but the number who you would put in that older category is always going to have a cumulative effect on the performance of the team. 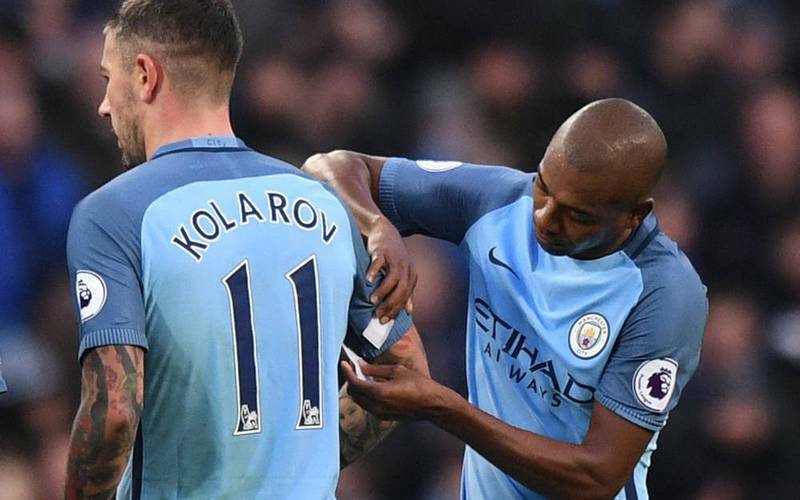 David Silva, Yaya Toure, Vincent Kompany, Bacary Sagna, Pablo Zabaleta and Aleksandar Kolarov are all coming towards the end of their careers. You can make a case for them all individually, but together the picture changes. 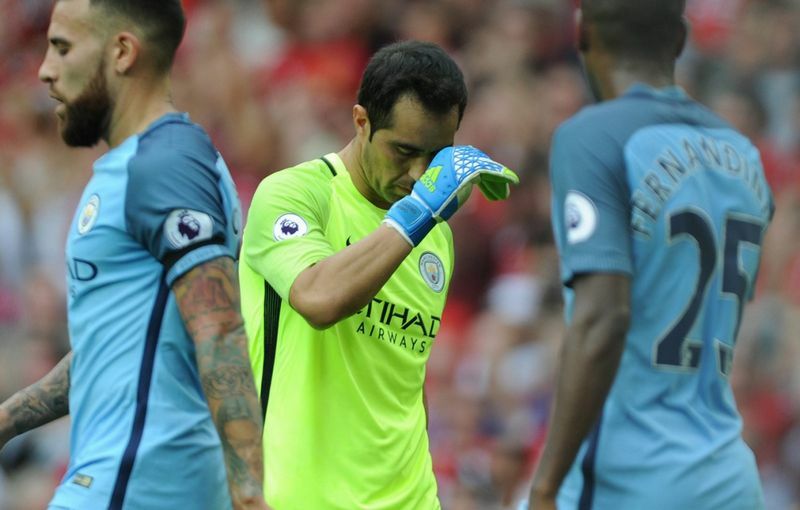 There is no denying that Claudio Bravo has struggled for City. He might be a lovely footballer but all great title-winning teams need a goalkeeper who can win them games. I would estimate the points value of a top goalkeeper to a Premier League winning team to be in the region of nine to 10 points when you tot up all the saves that turn potential defeats into draws or potential draws into victories. We had plenty at Old Trafford who won us titles: Peter Schmeichel, Edwin van der Sar and David de Gea. There were others elsewhere, there were the likes of David Seaman and Petr Cech. Every now and again, much as you would want it otherwise, you need your goalkeeper to bail you out. How often has Bravo done that for City? Guardiola will not want any excuses made for him but he has walked into a ferociously competitive Premier League. The top six have not disappointed us this season. The standard is extremely high among the leading managers. You only have to look at how far the current champions are out of the running to see the surge forward in improvement from the big guns. I notice that Guardiola took his players to the cinema this week. That kind of thing is the natural instinct for a manager when his players are in a bad place. You look around and see everyone stuck in a rut and try to break the cycle of training and preparation to take the pressure off the players. Any kind of break from the norm can do them good. There are times when they just need to get their minds off football, and more work on the training pitch is not the answer. Top managers like Guardiola have an approach to the game that has served them well. Of course they have to make adjustments according to the club they manage, the opponents they face, and the players at their disposal, but the basic principles do not change. It is moments like these that your belief and principles are tested – but these are the times when you have to show faith. At United, Sir Alex Ferguson believed in attacking football, no matter what. Our belief was that if the opposition scored three, we would go out and score four. Over a lifetime, it is not always like that and you have to accept that some games are lost. But you hang on to those principles and you set high standards and you have faith that in the end that will bring success. Louis van Gaal had his own approach to the game that he believed in and complete faith in that. It does not always work out but as a manager you are conscious that for a system to work out your players must see the faith that you have in it too. If you keep changing, then what does that say to them? Beating Spurs is the kind of game that could potentially turn City’s season around. Guardiola will be telling his players that too. They are only three points behind Spurs in second place. Win at home and the world will look very different on Monday morning. It cannot change the underlying profile of the squad, but it will send a surge of energy through Guardiola’s players that they need to finish the season strongly.